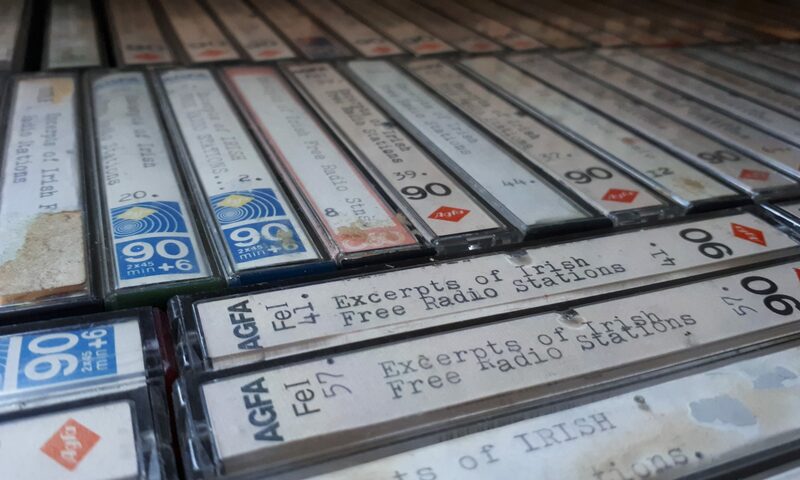 We are developing an audio archive of Irish pirate radio as part of the commemoration of the clampdown on the unlicensed broadcasting sector 30 years ago. Pirate.ie is a free and open archive and comprises historical recordings and oral history interviews. We recognise the value of other historical pirate radio material already online, particularly DX Archive. Our aim is to build a sustainable audio archive of pirate radio for future generations, in collaboration with as many partners as possible. 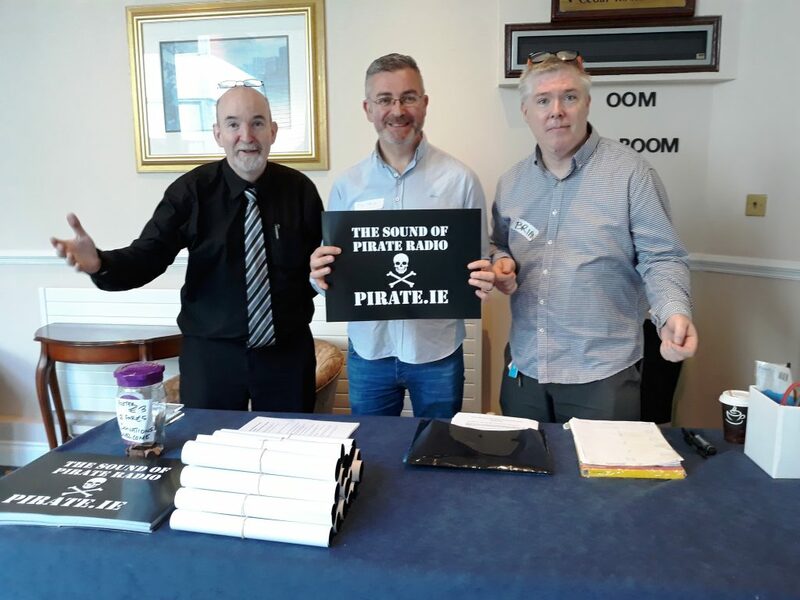 Many of the oral histories were gathered at an event for radio anoraks and (former) pirates that we organised on October 20th 2018 at the Ballsbridge Hotel in Dublin. In the photo, we are pictured with broadcast historian Eddie Bohan who has donated his own paper archive to Dublin City University. Pirate.ie is still in the early stages of development so please bear with us as we add material and improve the site’s searchability. If we wish to donate material or comment on the archive to date, you can get in touch with us through the Contact page.